Join us for a very special opportunity to gather together and explore some of the most effective and engaging classroom practices. Innovators from the three Bronx CUNY colleges, Lehman College, Hostos and Bronx Community Colleges, demonstrate their exemplary models for integrating and infusing technology into their hybrid, fully online and traditional teaching methods. 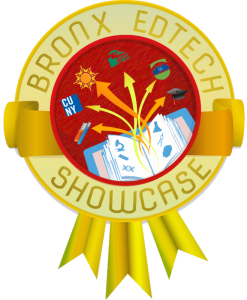 This year’s EdTech Showcase will take place at Bronx Community College and will focus on active learning and student-centered pedagogies.